I‘m a homebody. And there’s really no season that brings my homebody heart as much joy as fall! 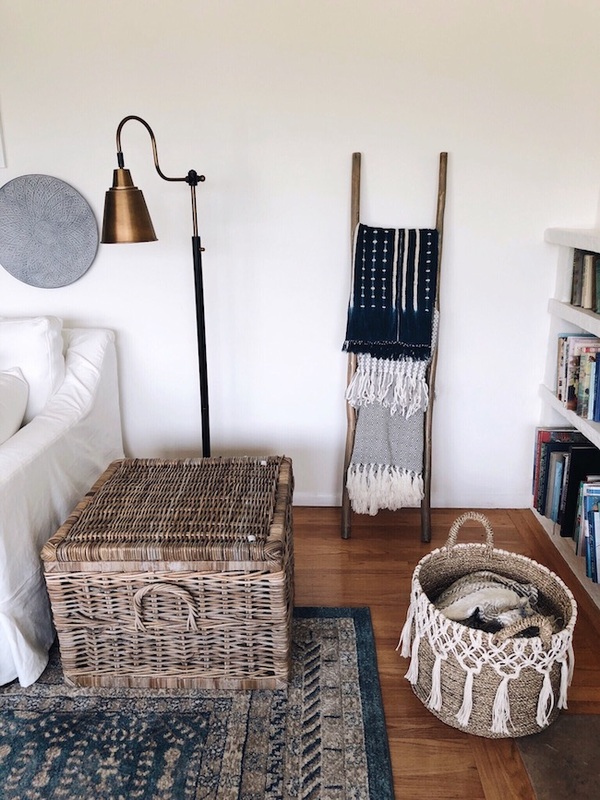 For me, fall has always been more about creating a home than decorating one, and more about paying attention to the life we live there than the things we fill our rooms with. Slowing down helps us to better savor the place we call home and to take better care of ourselves and the people inside. Here are three cozy fall activities that can help you do just that. 1. Embrace the quiet and creative. If you’re like me, slowing down can feel like stopping a moving train! How can you savor a cozy evening if you are feeling too stressed to slow down? Finding time to do something as seemingly unproductive as coloring might seem impossible, or like a waste of time. But quiet and creative activities like coloring can be so beneficial–as they help relax your mind. If you find it difficult to slow your racing thoughts, focus on filling in the sections on the page with color. Then see how you feel! 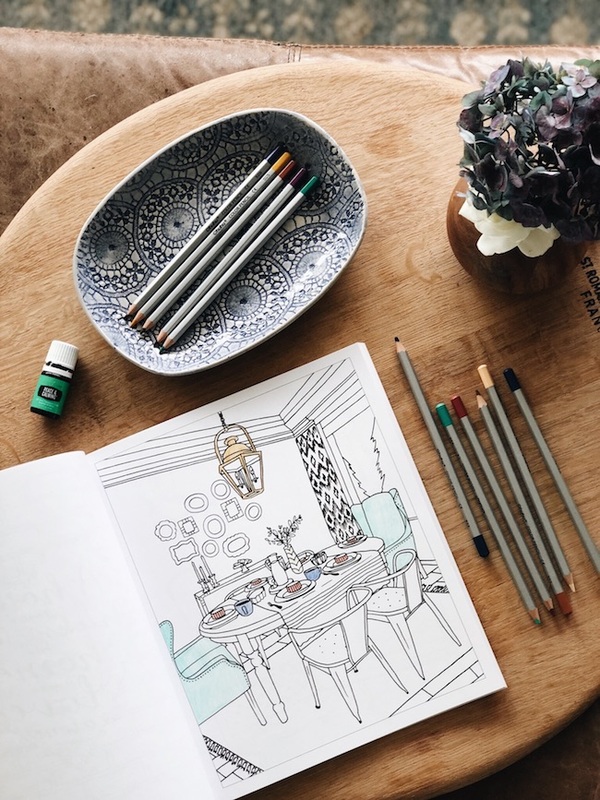 The Inspired Room coloring book might even spark ideas for your own home, so you never know what a peaceful time of creativity might inspire. 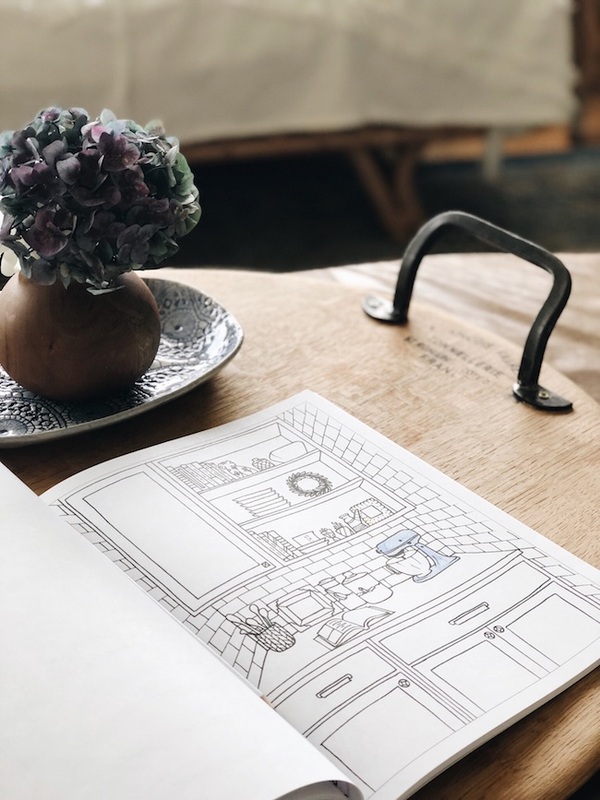 Besides, a quiet gathering of coloring could be a perfect way to reconnect with introverted friends and become everyone’s favorite way to get together! You could work on color pages in the evening by yourself while listening to a podcast or watching a show, or color with kids or family. 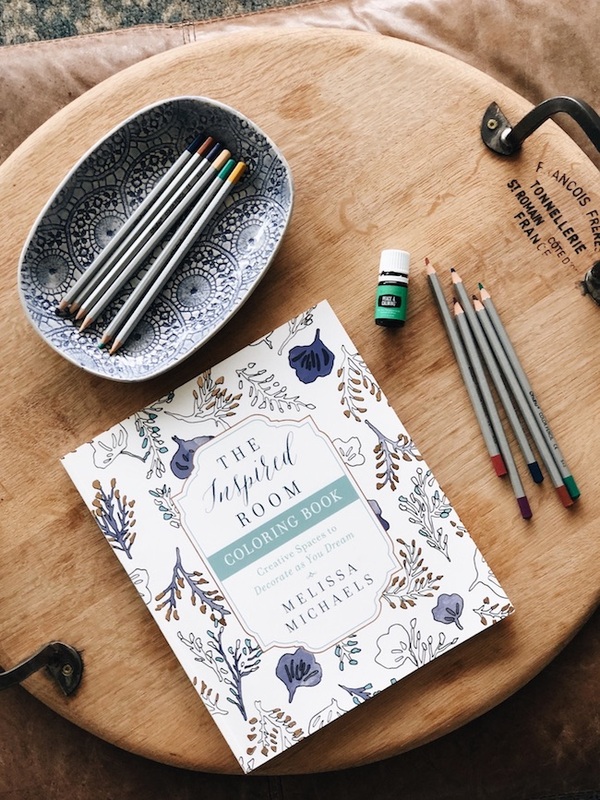 The Inspired Room Coloring Book has a mix of rooms, furnishings, patterns, and quotes to color, so it’s perfect for homebodies like us. Grab some colored pencils and give coloring a try this fall (or get a few for housewarming or Christmas gifts)! 2. Develop fun fall family night traditions. One of the things I crave most of all in my home is a cozy atmosphere for my family. A respite from the outside world where we can be together. I like comfy places to sit down with a book, places to light a fire or a flickering candle, inviting places to dine together and play games. Yet even if I find the time to create those surroundings, the reality is I need to set aside time to actually use them. My goal is to make a priority out of LIVING the life I want, not just creating the atmosphere for it. Why go out when you can have a fun family night in your own cozy home? Our family has a 25 year tradition of playing what we call “the marble game,” (otherwise known as Agitation, ours is a wood board game with marbles) at the dinner table (especially in fall and winter). I’ve often said we need to make it a priority to actually play the games, not just say we want to. We usually just leave the game out on the table so it becomes a daily reminder to slow down and play the games! 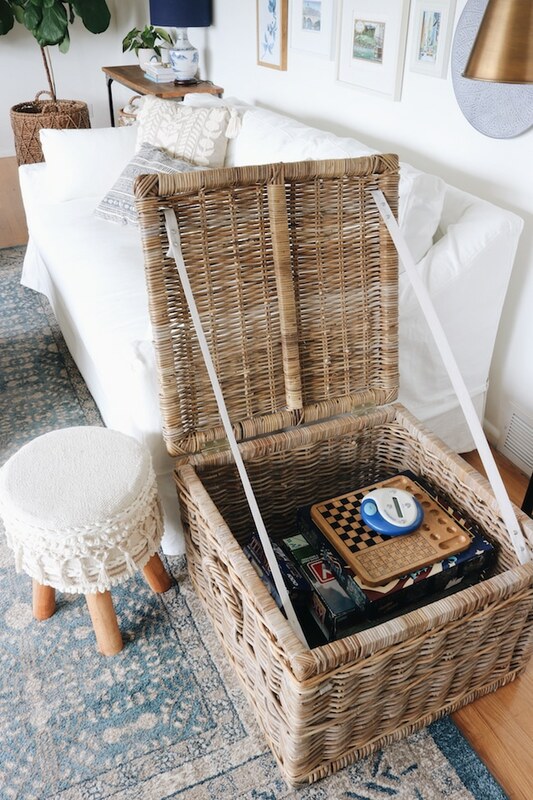 We also keep other games nearby or in our lidded basket so they are easy to find. What’s on your fall family night bucket list? Make a list and do the things! Play a game? Host a costume party with your neighborhood? Read a book together by the fire? Make the time for fall family night traditions! 3 – Savor a season of self-care. Self-care can feel like a chore, or a blessing, depending on the perspective. I recently found out I have Hashimoto’s (I’ll tell you more about that, soon!). As a result, I’ve been fully gluten-free for about six weeks now. So believe me, I get it! Change isn’t always easy. 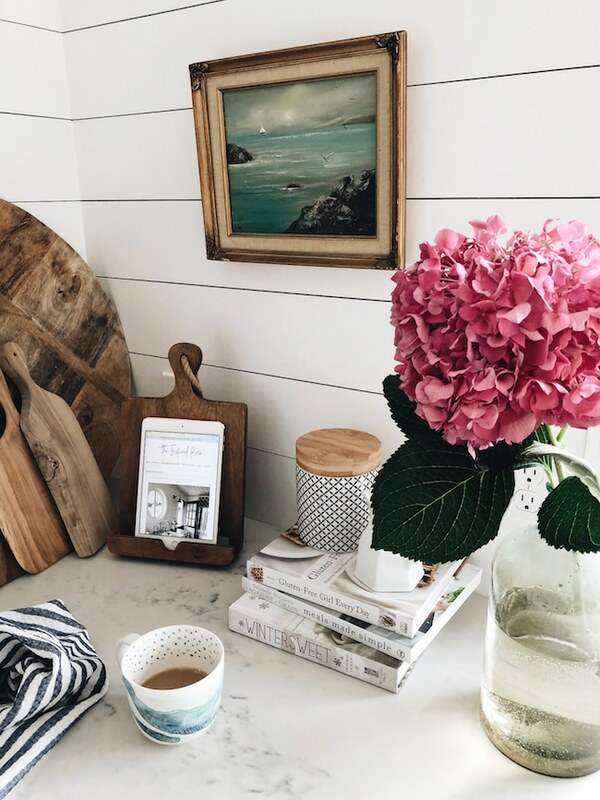 It can feel like a chore to make lifestyle adjustments of any kind, but instead of seeing them as an annoyance or inconvenience, we can see the fall season as an opportunity to slow down a bit and take better care of our home, ourselves and our family. What new habits need to be adopted for your well-being? What mindsets and attitudes need adjusting? What healthier recipes do you want to try? What fall meals would your family enjoy? How could you become more active, rather than less active this time of year? What changes need to happen around your home you’ll feel better in it? Fall is always my favorite season as a homebody for so many reasons! In what ways could you slow down to take care better of your home, yourself and your family through cozy fall activities? Can you please tell me where the wood board with the coloring book and pencils came from. I definitely agree with this! There’s no other way spending fall other than finding self-love, meditate and of course spend time with your loved ones. It is like replenishing your sou at the same time radiating positive energy. I am very thankful for reminding us about this. I, too, have Hashimotos’s. I was diagnosed in 2008. Going gluten-free was the only thing that brought my antibody levels down. I am a serious baker, and it changed everything! It was very hard at first, but now I have a routine and know what I can and cannot have. I am interested in any strategies you have in dealing with this autoimmune disease! 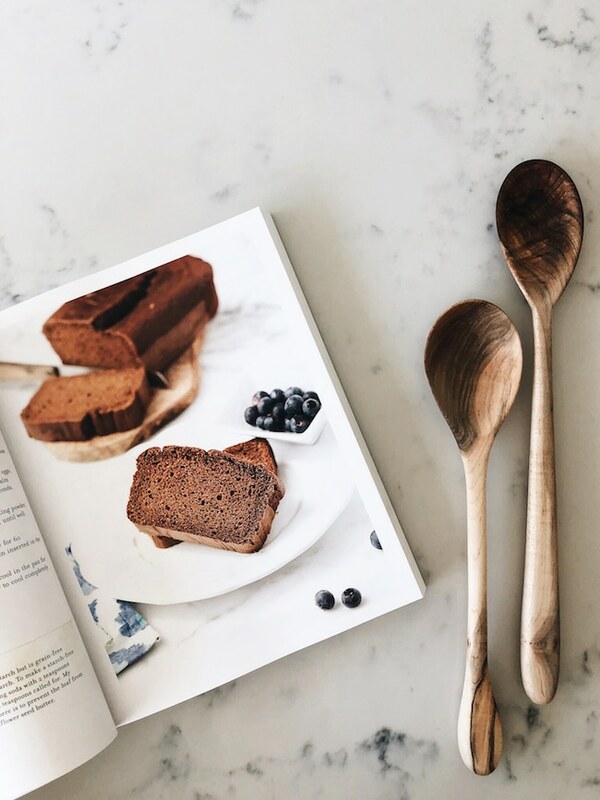 My favorite thing to do in the Fall is to bake for friends and to get a pile of books or magazines and read by the fire. I love your ideas! I love how you have had the marble game tradition. For a few years we would play Yahtzee at the dinner table. Some may frown on it, but it really was a way to slow down and we needed that. I will have to tell my story here, it’s all so interesting!! Gluten free wasn’t too difficult for me either as we had already made so many changes. I had cut down on gluten for about six months prior so the “big switch” wasn’t much different. But you are right, eating out is where it’s a little more challenging. I feel so much better, too, I didn’t even know there were random symptoms related to gluten, it’s been quite worth it! I’ll update with more soon on the blog. Thanks for sharing your story, Diane! Is the artist’s name who created the painting of the ocean noted on the piece? I agree that Fall and especially Winter (in Minnesota) are good times to slow down. I have embraced the mindset shown on a porcelain piece I have on my desk.. It has a tranquil wooded/water scene that says “PEACE, make time to be still” That is the key; we must choose to set aside time to embrace peace. That is very difficult in these fast paced times. A thought-provoking book (“Overload Syndrome by Richard Swensen, M.D.”) about allowing margin and time in our lives so we can enjoy the unexpected and have time to help others. It was written in the late 90’s but still applies today. 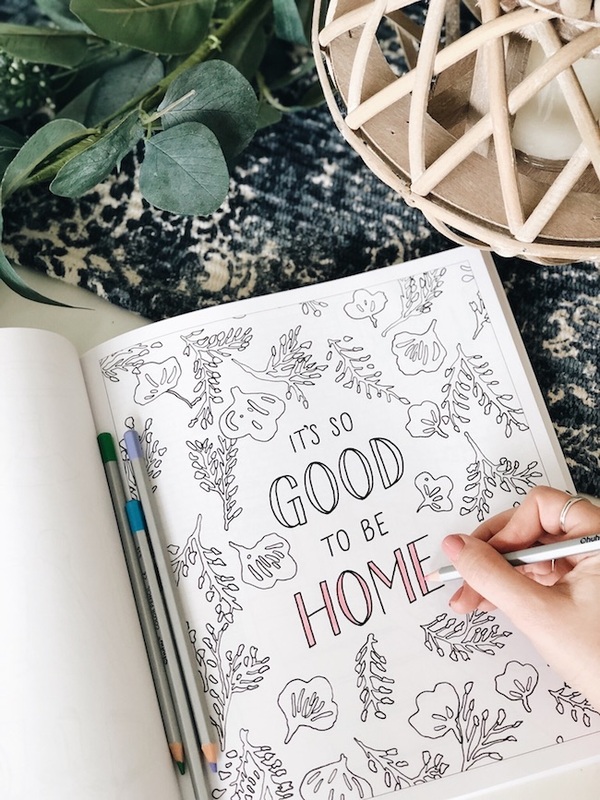 I do not have your coloring book, but was glad to see the quote “it’s good to be home” A few months ago we decided to have wall words of this quote to apply at our front entry. These are good reminders to be still and reminded of our many blessings. Thank you for your blog. It is very encouraging and fun to see decor ideas. Thank you Joan! Such wise encouragement, thank you for sharing, commenting and following along! Thanks for the lovely, peaceful, calming post. Makes me remember to breathe, if you know what I mean. I am really, really busy with stuff that has deadlines and have been functioning at this pace for more years than I care to admit. Would you be shocked to learn that I also have thyroid issues? I was surprised to read that you’ve been diagnosed, and I wish good things for you on your health journey. Please allow me to to recommend Izabella Wentz, PharmD. to you. She is a pharmacist and author about all things thyroid. She’s been able to heal herself of severe thyroid symptoms or at least manage them successfully. She has written a couple of books and has a newsletter/blog that I subscribe to. I have learned a lot from her that goes way beyond what traditional medicine addresses. You might like to read what she has to say. Good luck to you!